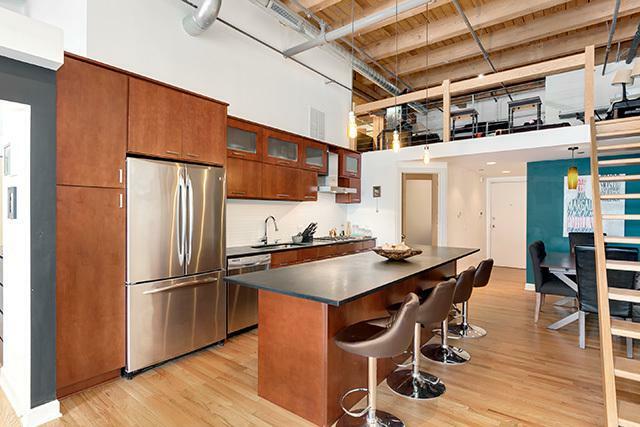 Gorgeous, unique 2Bed/2Bath timber loft on lovely tree-lined street in Ukranian Village! 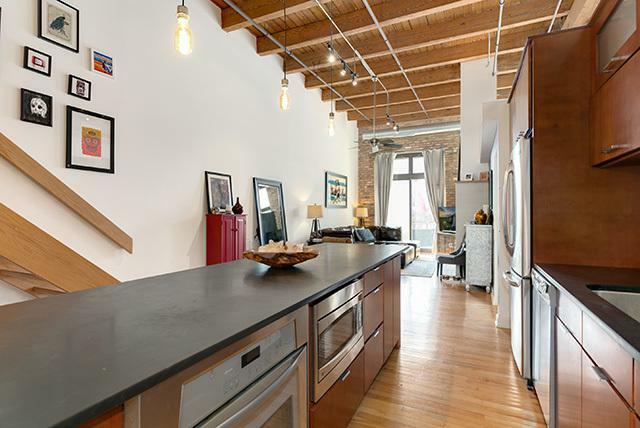 Updated unit has newly remodeled gourmet kitchen with cordovan soapstone countertops, huge island, updated cabinetry, high-end stainless steel appliances, and subway tile backsplash. Two-sided wood-burning fireplace with updated stone surround in living room and master bedroom with added sliding barn doors for privacy. Both bedrooms with custom California closets, second bedroom enclosed with ensuite bathroom. Added loft space allowing for tons of additional storage. 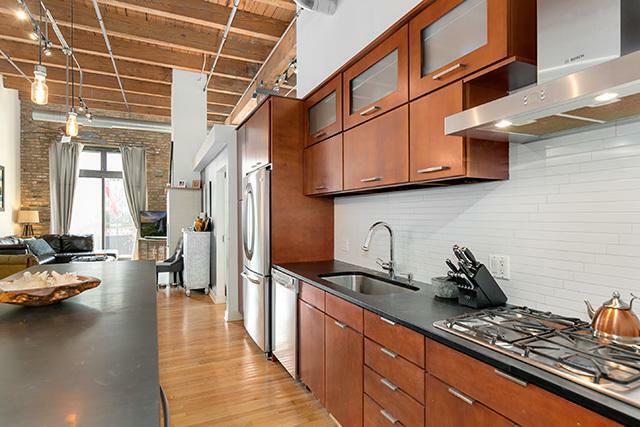 Unit features 16' ceilings, exposed brick, timber beams, hardwood floors throughout, floor-to-ceiling windows with custom window treatments, laundry room with in-unit washer/dryer, and huge private deck off living space perfect for entertaining. Garage parking included. Building offers rooftop deck. 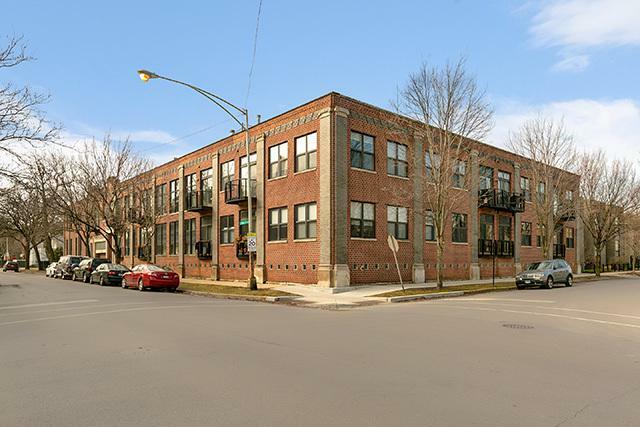 Located near parks, public transportation, Mariano's, and great restaurants/nightlife. © 2019 Midwest Real Estate Data LLC. All rights reserved. IDX information is provided exclusively for consumers' personal, non-commercial use and may not be used for any purpose other than to identify prospective properties consumers may be interested in purchasing. Information is deemed reliable but is not guaranteed accurate by the MLS or Mark Bowers Team at Berkshire Hathaway HomeServices Snyder Real Estate. The data relating to real estate for sale on this website comes in part from the Broker Reciprocity program of Midwest Real Estate Data LLC. Real Estate listings held by brokerage firms other than Mark Bowers Team at Berkshire Hathaway HomeServices Snyder Real Estate are marked with the Broker Reciprocity logo or the Broker Reciprocity thumbnail logo (a little black house) and detailed information about them includes the names of the listing broker. Some properties which appear for sale on this website may subsequently have sold and may no longer be available. NOTICE: Many homes contain recording devices, and buyers should be aware they may be recorded during a showing. Data last updated: 2019-04-20T08:51:48.017.